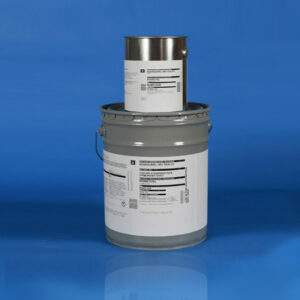 High performance, 100% solids, epoxy phenolic resin with proprietary alkali curing agents. Formulated as high-build system designed to be sprayed applied in a single coat or three (3) coat roll-on process. Reinforced with proprietary additives for physical strength, AQUAGUARD demonstrates superior adhesion to cementations and fiberglass surfaces. 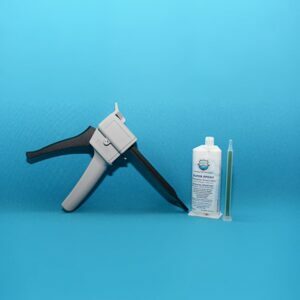 Chemical-resistant protective coating for pool surfaces and other aquatic features such as fountains, spas, and ponds. 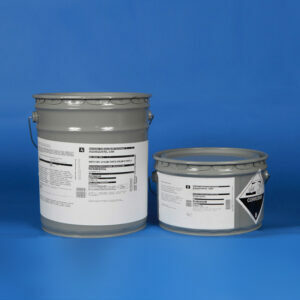 Concrete – acid etch and neutralize or pressure wash depending on severity of surface degradation. Repair and restore concrete as necessary. Plaster surfaces will require a sealer/primer for reconditioning prior to application of the topcoat. Fiberglass – grind or abrade with a coarse grain emery grinding disc to achieve an adequate surface profile or anchor pattern. (spray) Approximately 130 Sq. Ft./unit @ 40-60 Mils. (rolled) Approximately 650-850 Sq. Ft./unit @ 25-30 Mils.